Fairline is a British manufacturer of motoryachts. In 1963 Jack Newington started Oundle Marina and formed Fairline. The company is famous for their Squadron series; they kicked off this series in 1991 with the Squadron 62. 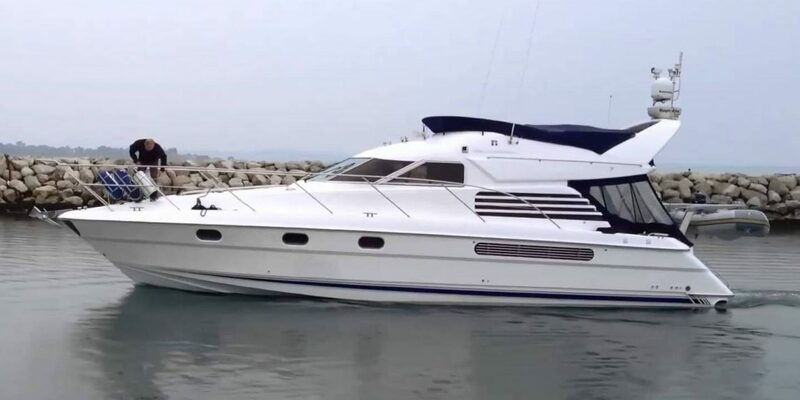 Prior to 1991, they built numerous other models including the subject of this review, the Fairline 50 Flybridge. In this yacht, one finds the family focus and high quality contruction that are hallmarks of Fairline. Today, RBC and Better Capital own Fairline.